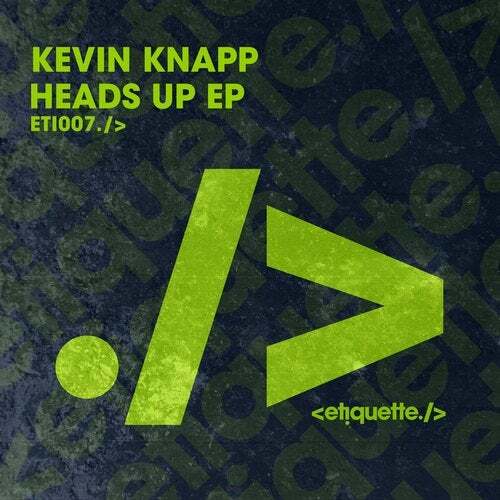 We're really buzzed up about our next release on Etiquette from US House sensation, Kevin Knapp, who makes his debut on the label with his 'Heads Up' EP. There are few DJs who have as much passion and dedication to the industry as Kevin. He's a constant pioneer of the genre with releases on respected labels; Hot Creations, Sola, Repopulate Mars & Crosstown Rebels, as well as playing renowned events at prolific venues across the globe. Hannah Wants has always been a champion of Kevin's music; continually supporting his tracks throughout her DJ sets, so it's with welcome arms that we enlist Kevin Knapp into the Etiquette family. The EP kicks off with title track 'Heads Up' which inflicts a contagious bassline over layered synths and shuffling drum sequences. 'Peaches' completes the EP, offering hooky, reverberating vocals from Hutchtastic over shuffling hats, oscillating synths and a rumbling low-end throughout.